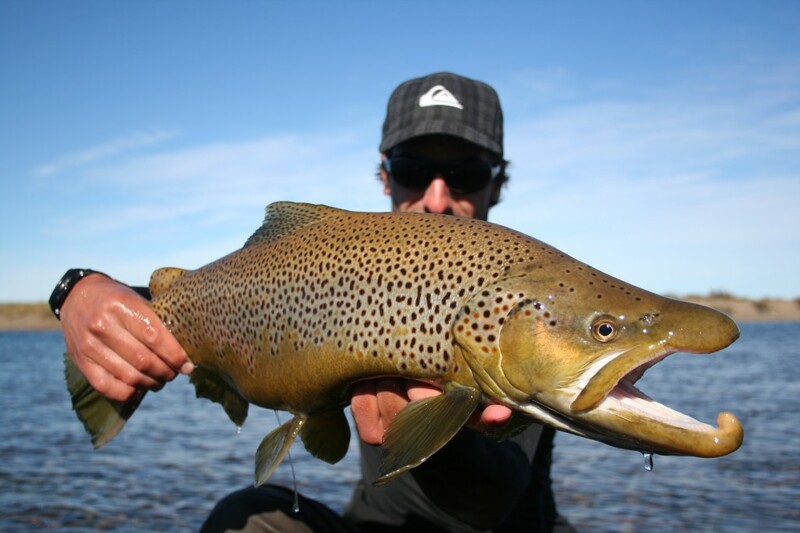 Junin de los Andes , the trout capital of Argentina , is recognized as being a world-class fishing destination. Within a 30 mile radius from town you have many blue ribbon trout fisheries that provide opportunities for the novice angler or the expert looking for a new challenge. Over a century ago brown, rainbow, brook trout and salmon were introduced to these waters from strains taken from Europe and North America . Since their introduction they have become part of the natural ecosystem and have reproduced in great size and healthy numbers. The average size of fish on most rivers and lakes ranges from 15-18 inches. 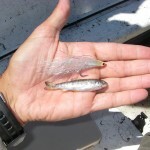 It is not uncommon to see a fish that will top the 20 inch mark and fish larger than this are taken throughout the season. There are many different techniques used to fish the rivers surrounding Junin. The Chimehuin, Alumine, and Collon Cura are bigger rivers, and are best fished from a raft where covering water is important. These larger bodies of water can provide an angler with many different fishing opportunities. 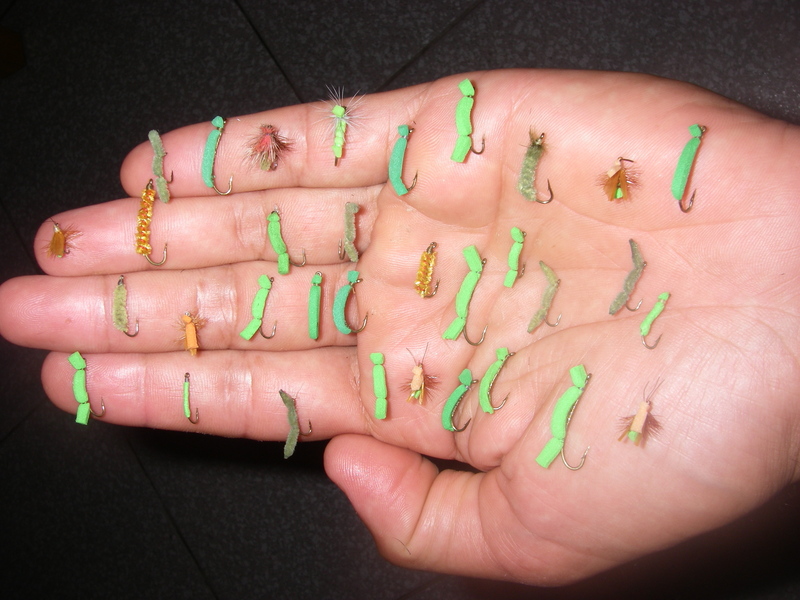 It is not uncommon to use dry flies, nymphs, and streamers on any given day throughout the season (November-May). The inaccessibility and length of these rivers provide an opportunity to combine floating and camping and can last from 1-3 nights. These overnight trips allow us to take you to incredible places where you can feel and experience Patagonia at its best. Smaller rivers like the Malleo, Quilquihue, and the Pulmari offer quality wade fishing. Fishing these rivers can be lots of fun with lighter rods (3-5wt) and small flies. Very nice fish can be taken on these smaller waters with dries, nymphs. The Malleo is recognized as one of the prime dry fly rivers in the world and has many different hatches throughout the season. Besides the beauty and great fishing provided on these waters, one can enjoy being surrounded by the past and present traditions of our native people. Moving on to lake fishing we have Huechulafquen, Paimun, Epulafquen, and Falkner to name a few. Most of these lakes are located within the Lanin National Park , which is home to the famous Lanin Volcano. Its majestic presence can be felt and seen from almost anywhere in the area. 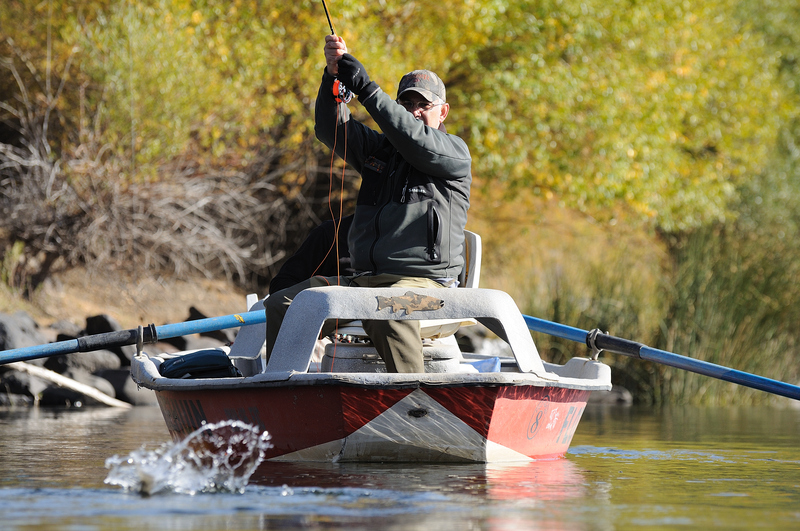 When fishing lakes we use a large boat to take you to places few people ever see. The techniques we use range from casting to rising fish along the shoreline to stopping and fishing the inlets of various rivers that begin in the Andes . Fishing these lakes provide you with an opportunity to catch the beautiful brook trout. Junin de los Andes has a wide variaety of waters, producing lots of different fishing oportunities that you can only find in few places around the globe. 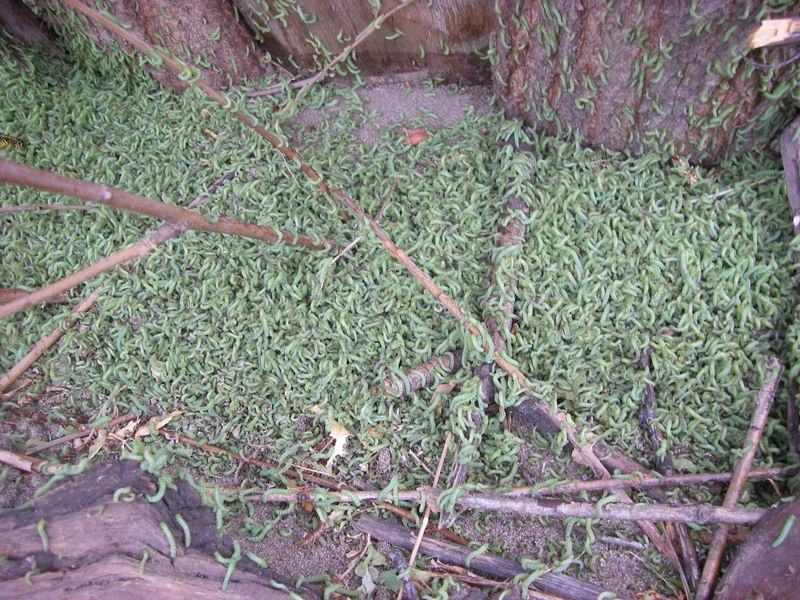 During the summer month the willows on the river shore get poblated with incredible amounts of inch worms. Rivers like the Alumine, Collon Cura, Malleo or Chimehuin for example. Giving us incredible fihing oportunities. Rainbows and brows sit below the over hanging branches on deep poools and slow moving water waiting for the wind to blow them out of the leaves, once they feel down, crossing fish are ready to sip them on the surface or eaven when the drown a little bit. Floating lines is the way of fishing this worms, using long and fine leaders. Look for rising fish and place your self in the best place avaible, many times sneak under brush or hide behind rocks are a must. The inch wor flies have to match the color ans size of the worms on the different moments of their stage. And also work them after they float on the surface and begin to sink slowly. At the end of the summer and begining of fall schools of minows of trout, pejerrey or puyenes (local little fish) start they way up river looking for food and places to grow, the main part of these schools are usually coming from some of the lakes. 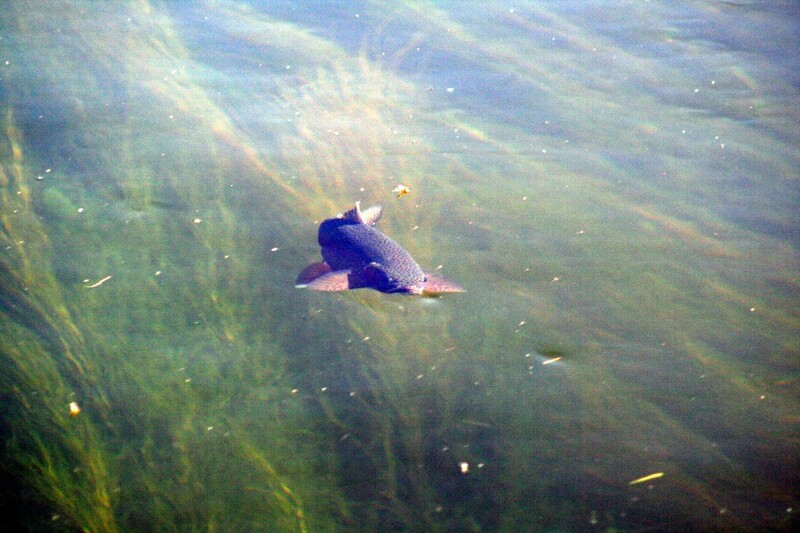 The big resident fish feed in a very agresive way these moving minows, and many times you will be in rivers like the Collon Cura, Alumine, Caleufu specially and see explotions on the surface made by trout and minows flying everywere trying to survive. 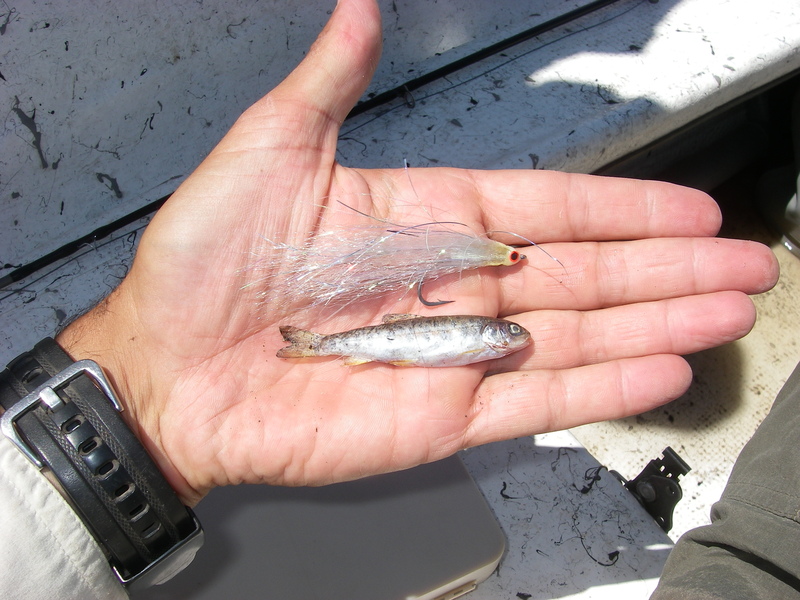 To fish this “hatch” you can use sinking lines or floating lines when the minows are heavy, but the important thing is to use very slinder streamers matching size, shape, and color. In fall and specially at the end of are season( may 31st) the resident and migratory browns start moving up or down the river looking for spooning areas. This for us is a great chance of find large trout on are rivers that they might not be thet easy to catch during summer time. Cold , wind, rain and unpredictable weather are part in this game. Fishing large streamers along the shores, trough the pools and runs, spending time in the Bocas (inlets of outlets of rivers)are some of the keys to target some of this big fish, is not an easy game but i am shure that if you work hard good things will happend…..
November december and january, “dragon fly time” this is the moment when the dragon flies and damsel are flying around in abundance to expose them selves. At this time they emerge from the weed beds on the lakes and some rivers, then they do their mating flights and go back to water to lay their eggs. In all this proces trout are always ready to feed on them. And one of the really cool things to see is when those big rainbows jump out of the water up to 3 feet to get a flying dragon fly. 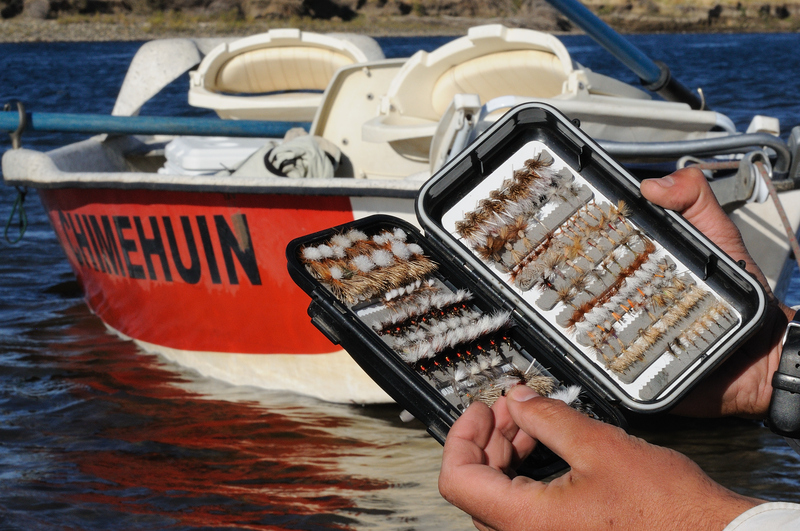 This and some other hatches ocurre during our fishing season in patagonia, we still have stoneflies in spring, caddis during the summer, all kinds of mayflies, like PMD’s, Hexagenia, Mahogany, BWO, Callibaetis. Hoppers , ants, beattles trough the summer time.